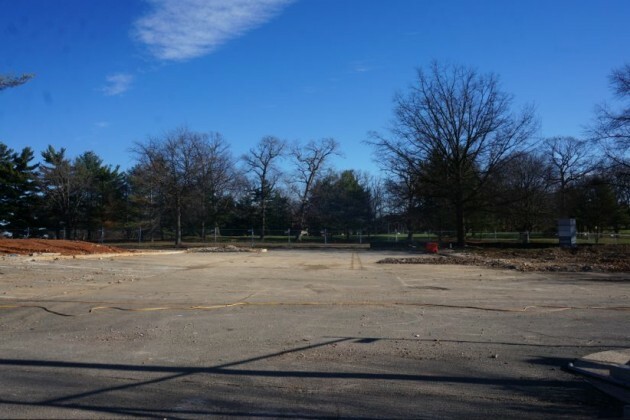 Demolition crews have clear-cut the remaining trees and removed parking lots light poles at what used to be the Reston International Center convenience center. 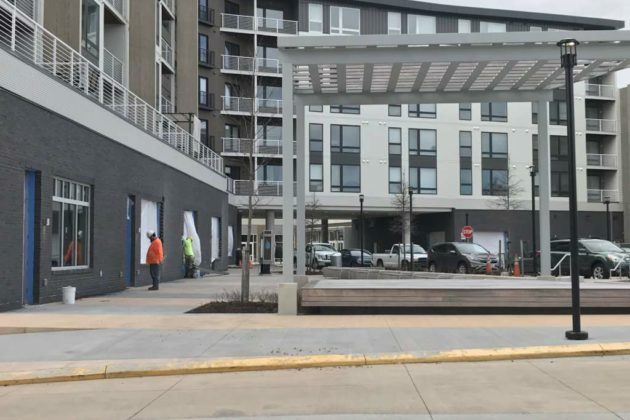 It’s taken about nine months of work to get ready to construct Phase 2 of Reston Heights — to be called VY at Reston Heights — but it looks as though crews are finally ready to dig and build. But one structure remains: the stand-alone Popeyes chicken restaurant. Several Reston Now readers have asked why: Is this a shining beacon of culinary excellence? That’s subjective. A historical building? Not unless “bland 1970s strip mall” is worth preserving. It’s a matter of business. When JBG began purchasing and assembling the parcels for redevelopment, the owners of the fast food spot at 11850 Sunrise Valley Dr. simply held out. A bank, two small strip mall centers and the stand-alone Chili’s building all were purchased as the redevelopment was approved by Fairfax County in 2008. Meanwhile, the 15-story Reston International Center, once the signature high rise of Reston, is also under different ownership and will stay. 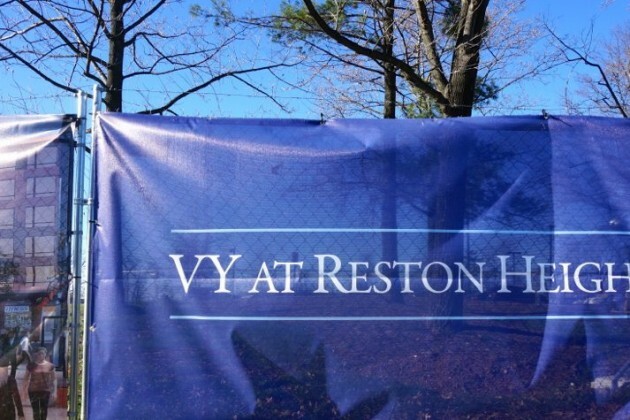 VY will be an extension of Reston Heights, where the Sheraton Reston and Westin Reston Heights are located, along with offices and the Mercer Condos. 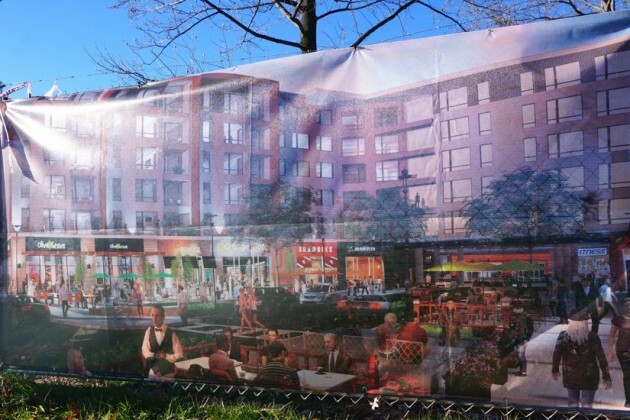 JBG plans 483,000 square feet of mixed-use, including 385 apartments. The development will have a six-story residential building, a 15-story residential building, a five-story building that incorporates a parking garage with residences and retail space; and a 10-story building that mixes office space, parking and retail space. 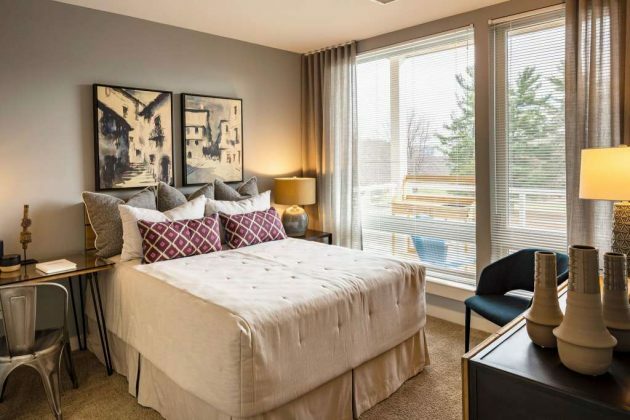 “VY at Reston Heights will be an active destination with social public spaces, new living options, and new shopping and dining for all of Reston, ” said JBG Principal Greg Trimmer. So far, the project has signed one major retail tenant: 24-Hour Fitness. Updated Thursday with information on what “VY” means. 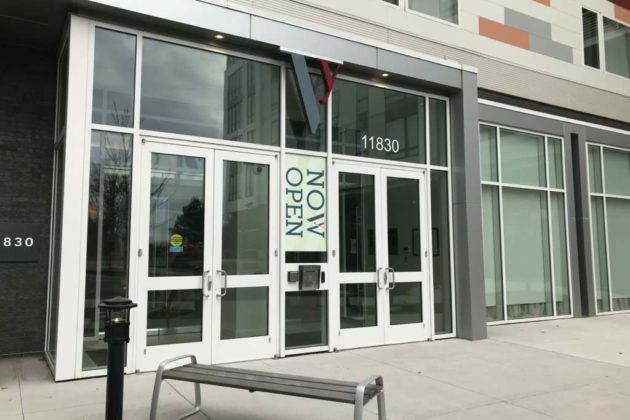 JBG Companies’ Reston Heights Phase II has a new name: VY at Reston Heights, according to signage at the construction site. 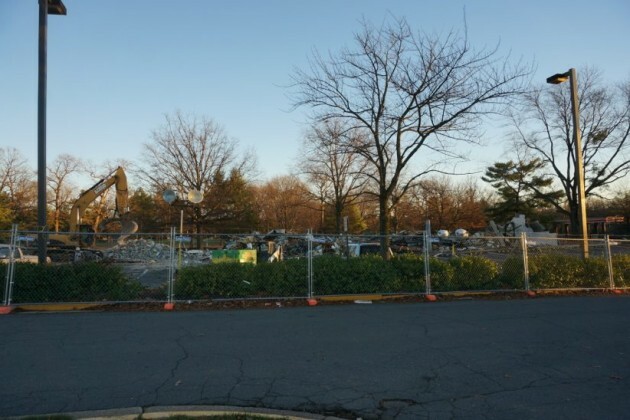 The former site of the Reston International Center’s convenience stores, a bank and a Chili’s Bar and Grill were razed in recent weeks to make way for the mixed-use development. The Westin Reston Heights, Mercer Condominiums and office buildings make up the first phase of Reston Heights, which was completed several years ago. The only major tenant signed thus far is 24 Hour Fitness, a JBG spokeswoman said. However, a rendering at the construction site gives a sneak peek into the cafes, shops and outdoor seating that will eventually be at the development. This week, Reston Now will highlight some of the most read-stories of 2015. At No. 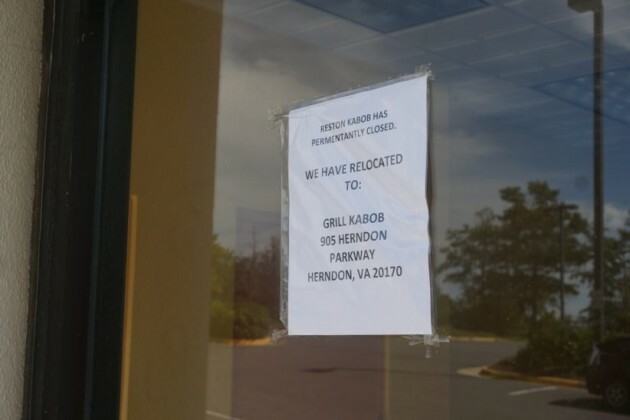 4 is the closing of Reston Kabob. Reston restaurants come and go pretty often. 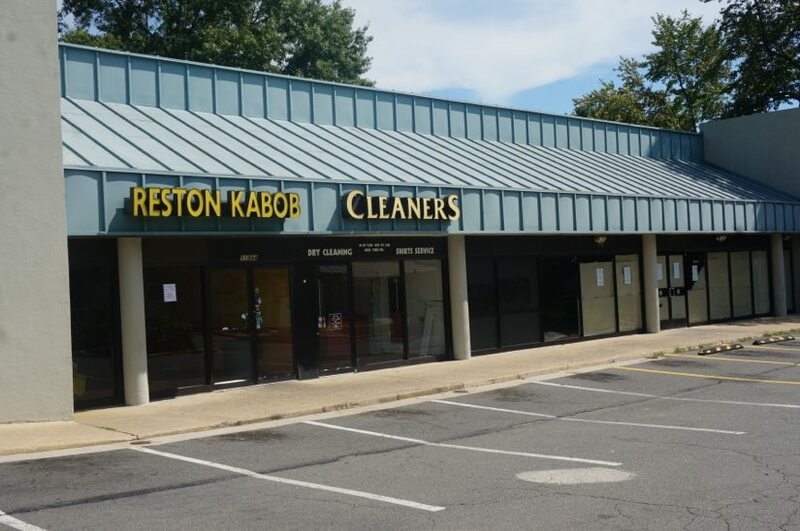 But no business closing of 2015 had quite the readership and reaction like the one for Reston Kabob, which was located at the International Center shops for more than a dozen years. Read the original story on Reston Now. The family owned spot at 1844 Sunrise Valley Dr. had to close in late July due to the upcoming redevelopment of the shopping center. 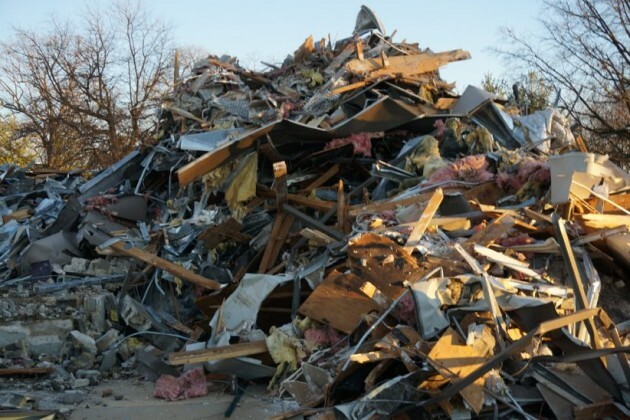 The building was finally torn down this month, and the stretch along Sunrise Valley will be redeveloped by JBG Companies into a new mixed-use property. The owners of Reston Kabob say they may be interested in returning to Reston Heights, as the new development will be called, when it opens in a few years. Meanwhile, the operate Grill Kabob at 905 Herndon Pkwy in Herndon. 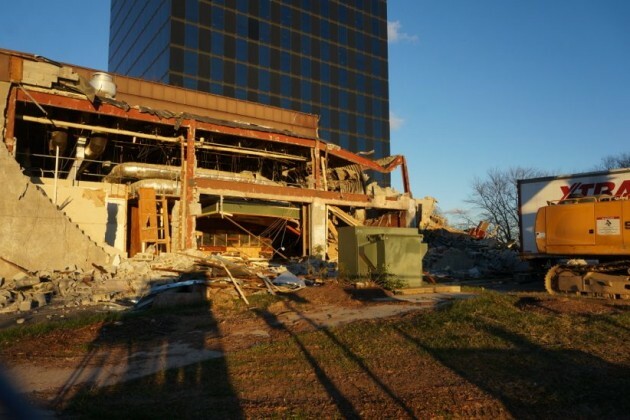 Demolition finally began on Tuesday the Reston International Center’s retail buildings. 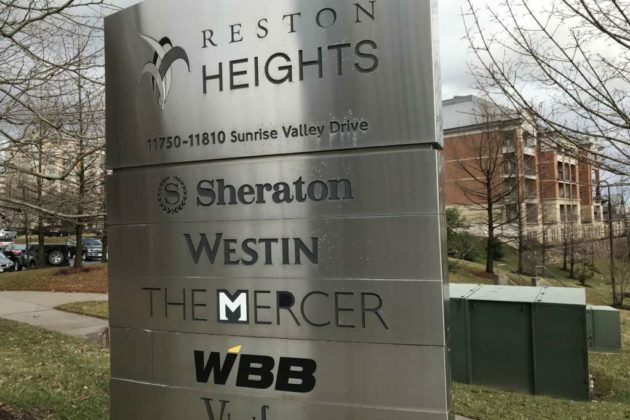 The businesses there closed over the last 18 months to make way for JBG’s large, mixed-use extension of Reston Heights. Wells Fargo Bank shut down in the summer of 2014, followed by Chili’s in December 2014. By August, the strip that housed Reston Kebob, a 7-Eleven and a dry cleaners closed too. 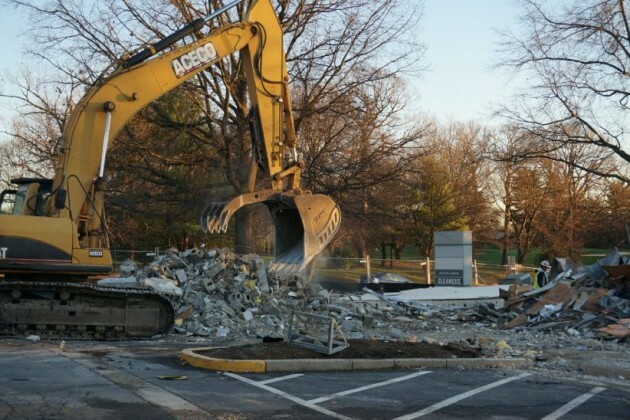 After months of pre-construction work and asbestos removal, the wrecking ball made quick work of the Reston Kabob strip, demolishing it in one day. Chili’s is still a work in progress. 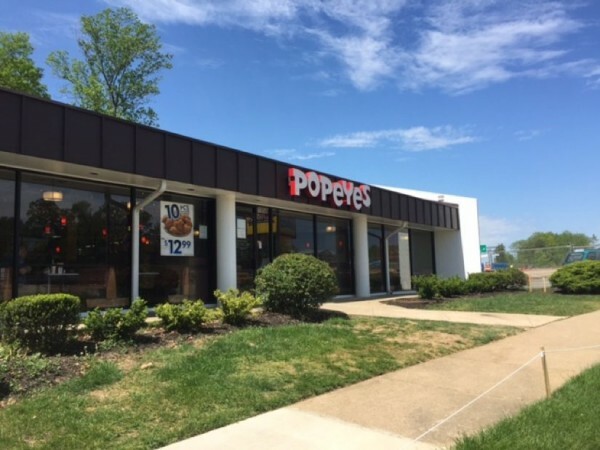 The stand-alone Popeyes will remain throughout the redevelopment. 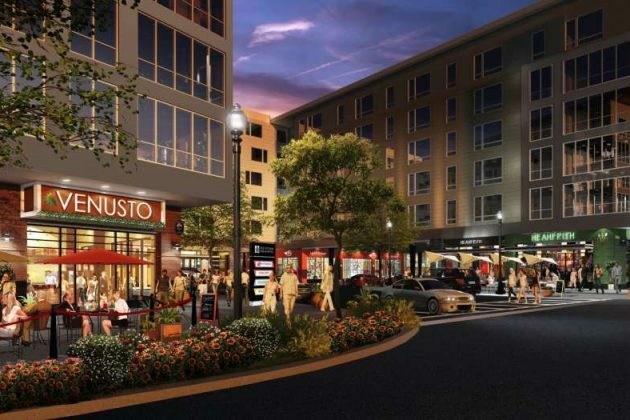 JBG’s Reston Heights Phase 2 will include a six-story residential building; a 15-story residential building; a five-story building that incorporates a parking garage with residences and retail space; and a 10-story building that mixes office space, parking and retail space. One major tenant, 24-Hour Fitness, has been signed for Phase 2. The former Chili’s Bar & Grill at 11840 Sunrise Valley Drive has taken on a new look in recent weeks. 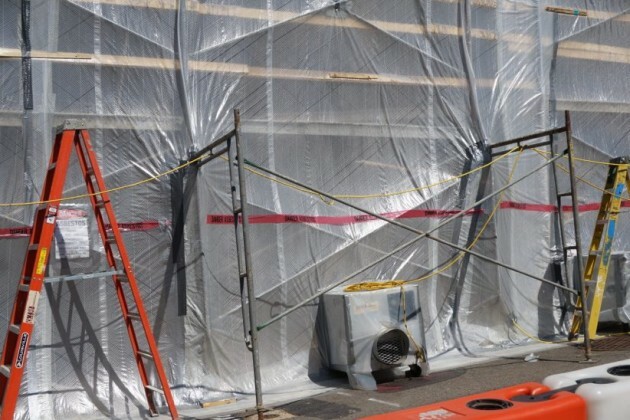 The building is tented with plastic covering and other safety accoutrements as crews work on asbestos removal in prep for the building’s demolition. 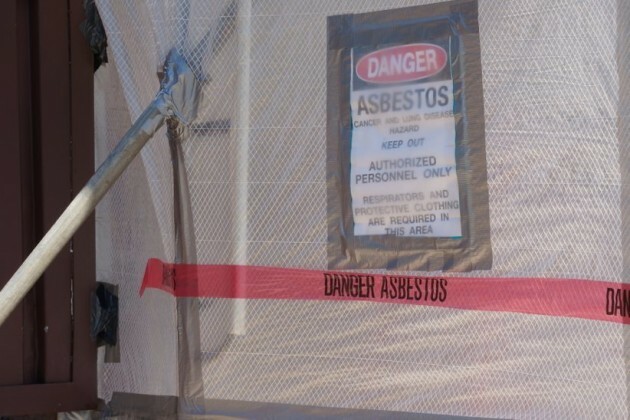 Asbestos is a fiber formerly found in many construction materials and can cause lung damage. 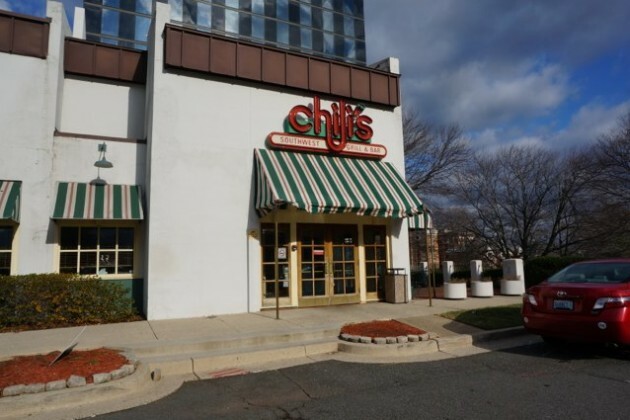 The Chili’s building was constructed in the early 1980s, before many uses of asbestos in insulations, water pipes, and roofing, among other places, were banned by the U.S. Environmental Protection Agency. The restaurant closed at the end of 2014. 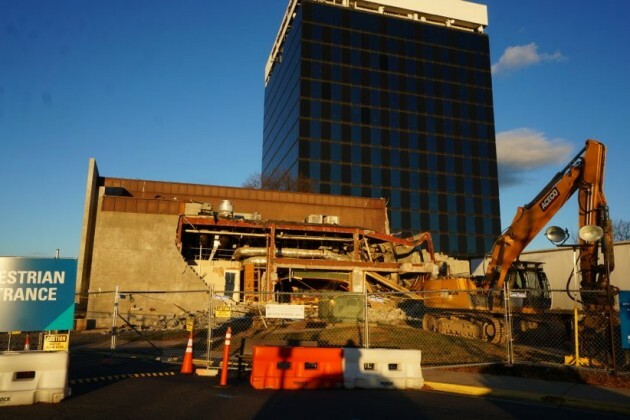 The building, along with others at the former Reston International Convenience Center, will be torn down to make way for the second phase of The JBG Companies’ Reston Heights development. A Wells Fargo Bank there closed last August, and the remaining strip of stores, including 7-Eleven and Reston Kabob, closed in the last few months. Construction fencing was being put into place around those former stores on Wednesday as that strip prepares for asbestos removal and demolition as well. A six-story residential building, a 15-story residential building, a five-story building that incorporates a parking garage with residences and retail space; and a 10-story building that mixes office space, parking and retail space. JBG has signed 24-Hour Fitness as a major tenant. The owners of a five-story office building at 1950 Roland Clarke Place are considering selling the property as mixed-use development is planned all around it. The Washington Business Journal reports that Reston-based intellectual property law firm Greenblum and Bernstein, which occupies much of the space in the building it purchased for $11.5 million in 2002, is seeking to sell the space, as well as an additional building it owns 1941 Roland Clarke Place. 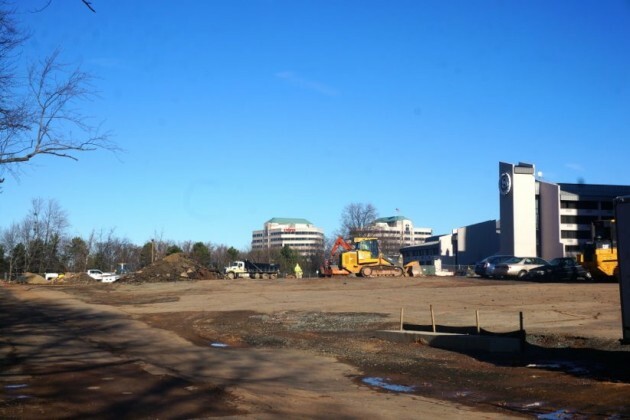 The buildings, about 102,000 square feet over 6.5 acres, are located next to The JBG Companies’ Reston Heights, where work on the second phase of a large mixed-use development is slated to begin soon. 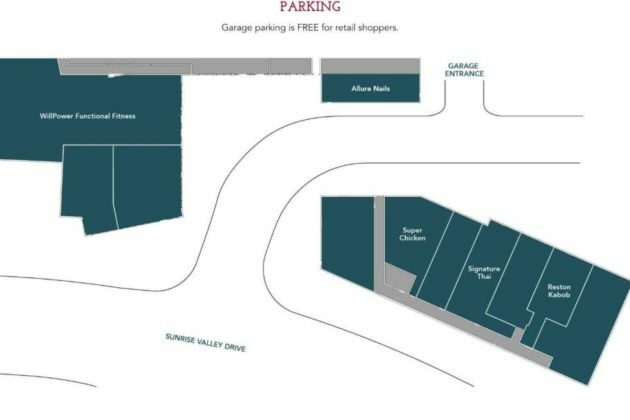 The last remaining commercial tenants on the stretch of Sunrise Valley have vacated the premises and construction should begin soon, JBG reps said. Reston Heights already includes the Sheraton Reston, the Westin Reston Heights, the Mercer Condos and offices. 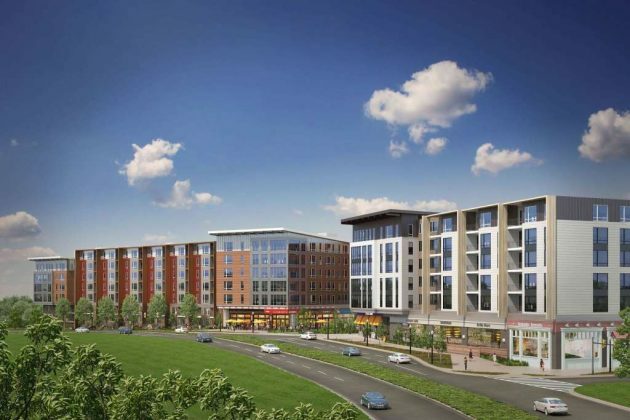 The next phase, approved by the Fairfax County Board of Supervisors in 2013, will have a six-story residential building, a 15-story residential building, a five-story building that incorporates a parking garage with residences and retail space; and a 10-story building that mixes office space, parking and retail space. The Roland Clarke office buildings are also adjacent to the former American Press Institute building, which has been vacant for more than three years. The owners of the Brutalist office building recently filed a rezoning application to change from industrial to residential and build 37 houses on the land. And across the street from Roland Clarke Place is Reston National Golf Course, which has been embroiled in its own rezoning fight for several years. 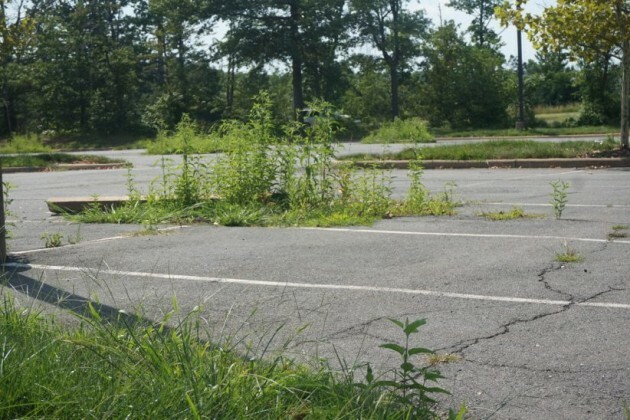 The Fairfax County Board of Zoning appeals ruled in April that the 166-acre course could be redeveloped from a open and recreational space to residential without a comprehensive plan amendment. Several community groups — including Rescue Reston, Reston Association and Fairfax County, are challenging that decision in circuit court this fall. The firm has been approached by developers in the past, and co-managing partner Neil Greenblum told the WBJ it decided to explore a possible sale now given the increased development in the Reston area. The Wiehle-Reston East Metro station is just under a mile from Roland Clarke Place. Part of the JBG project includes enhanced pedestrian trails to connect the development with Wiehle-Reston East. The former American Press Institute headquarters may be a future housing development. Vienna-based Sekas Homes has submitted a Fairfax County rezoning application for the property located at 11690 Sunrise Valley Drive. The company seeks to change the parcel from industrial to Planned Residential to construct 37 urban-style single family attached dwelling units, as well as parking and recreational amenities, the application says. The existing office building and surface parking will be removed, the application said. Access will be provided via a single full movement access point off of Roland Clarke Place and the development will be served by private streets and alleyways, the applications said. 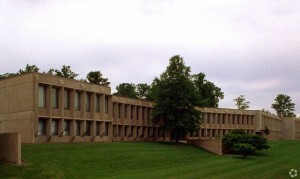 The building was occupied by API from 1972 until 2012, when the organization merged with the Newspaper Association of America. 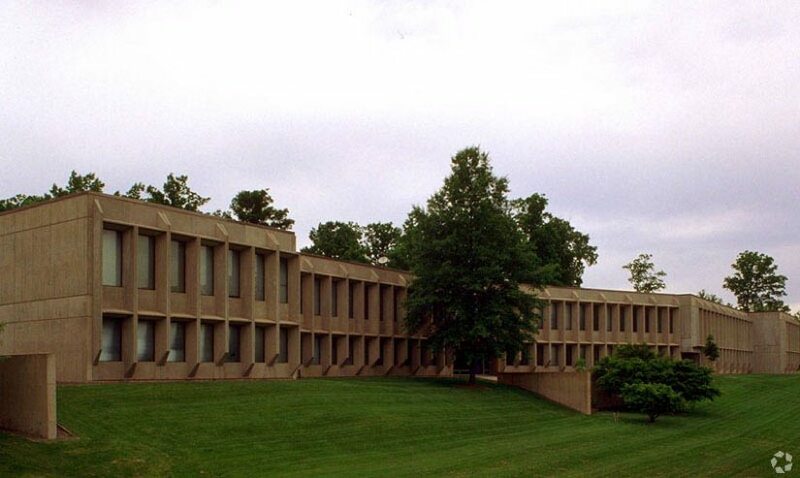 The modernist building designed by architect Marcel Breuer was sold for $5 million in 2013. The building site is adjacent to JBG’s Reston Heights, which contains two hotels, the Mercer Condos and offices. 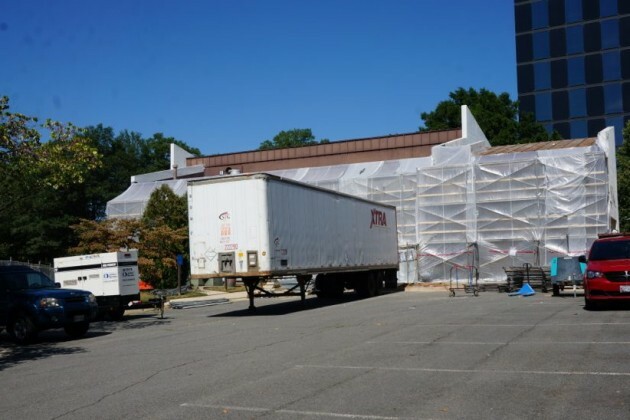 Further expansion of Reston Heights is set to begin soon for the parcel that formerly contained Chili’s Bar & Grill. The expansion, approved by the Fairfax County Board of Supervisors in 2013, will have a six-story residential building, a 15-story residential building, a five-story building that incorporates a parking garage with residences and retail space; and a 10-story building that mixes office space, parking and retail space. JBG recently announced that 24-Hour Fitness will be an anchor tenant. Meanwhile, there also may a big new development in the works for the south access point of the Wiehle-Reston East Metro station. CESC Commerce Executive Park, L.L.C. has filed a rezoning application for 1850 Centennial Park Drive, 11400 Commerce Park Drive and 11440 Commerce Park Drive to rezone from Industrial District to Planned Development Commercial (PDC). Those office buildings are located on the south side of the Dulles Toll Road from the metro station. There is direct access from a stairway between the office buildings and the toll road. 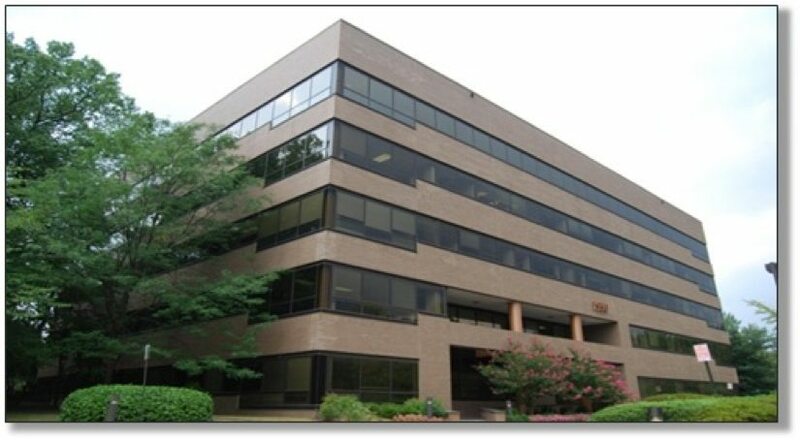 The property owners say two existing office buildings will be retained (totaling 356,496 square feet of office space). The application also includes an option to convert the proposed hotel to multifamily residential, and the proposed new office building to multifamily residential and/or hotel. That development would be one of several in the immediate vicinity of the Metro station. 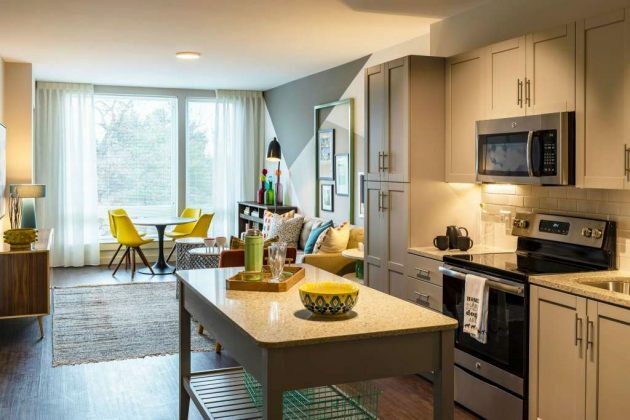 Comstock’s 528-unit BLVD apartments at Reston Station will begin leasing later this year. 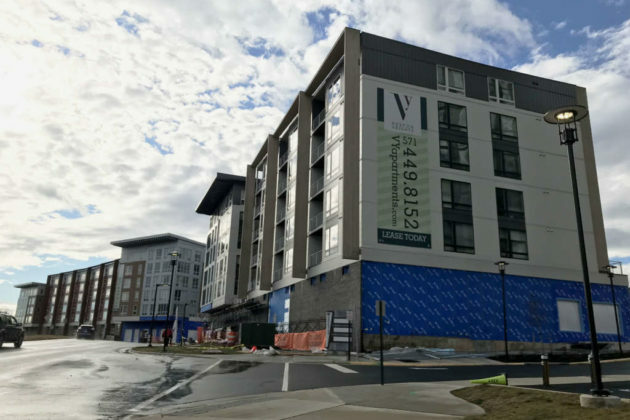 Construction has recently begun on a project by The Bozzuto Group and Chuck Veatch at Sunset Hills Road and Reston Station Boulevard that will bring 421 units. Developer JBG has also filed a rezoning application to turn an office building at 1831 Wiehle Av. (Sunset Hills and Wiehle Avenue) into 504 residential units.